When Jiaming Wang came to the United States in 2008 during middle school on a three-month exchange program from China, he learned about fortune cookies, General Tso’s chicken and the language barrier. “When I first go here, there was a lot of things I needed to get familiar with. Like at the beginning I didn’t know when you walk into a restaurant you have to wait until the waiter comes to you to seat you. Back in my country, you just walk in and take a seat,” Wang said. This experience prepared him a bit for the next time he visited — as a Pitt student. 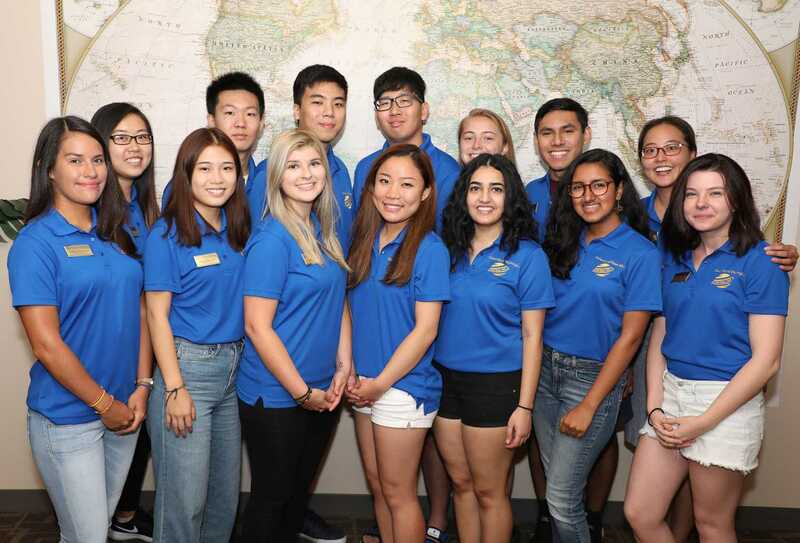 According to the 2018 Pitt Factbook, there were 3,236 international students attending Pitt’s school system in the 2017-18 school year. Out of these, most came from one continent — eight of the top 10 countries that international students come from are in Asia, the other two being Brazil and Canada, according to Global Ties. About 1,850 students came from China alone. One of these transfer students was Wang. Wang is a Pitt alumni who graduated in Spring 2018 with a degree in actuary science and economics. Mentors answer any questions their mentees have and get them connected to social events. When he became a mentor, Wang said his mentees frequently asked him about how to get a job, a social security number and where to make friends. “I would say if you have an international student whose mentor is from the same country, you will have a lot of things in common to where you can just talk to each other about the same experience you had when you first came here,” Wang said. Wang explained that international students are also concerned about the language barrier and want to know where they can make friends to practice the language. “I know a lot of people come in for two or three years and only have friends from their own country and don’t speak English at all outside of the classroom,” Wang said. There are some specific student organizations for students from other backgrounds including the Egyptian Student Association, which was started this January. The vice president of the Egyptian Student Association, Mohamed Bayoumy, is a fourth-year graduate student. He came to Pitt as a transfer student in 2014 and started the association with a few colleagues after noticing the Egyptian community increasing in size. While only a semester old, the association was able to organize holiday gatherings for Egyptian students in the spring. Bayoumy said the events attracted non-Egyptian students as well. International Programming Coordinator and Advisor Kyoungah Lee heads the Global Ties program. She said some activities GT offers, such as the first event of international student orientation and Football 101 (where they explain the U.S.-exclusive sport) help students adjust to American culture. They also have Thanksgiving dinner, Black Friday shopping and culture immersion trips. Mentors submit a mentee report every month on how their mentees are doing, such as socially and academically. Mentors are required to meet with their mentee twice a month. Lee was an international student from South Korea when she attended State University of New York at Buffalo for economics and finance in 2009. She explained the struggles she faced when getting acclimated to the United States. She said when she had problems and had to call the bank or her phone company, she would run into issues like long waiting times and the language barrier. Sally Lin, a senior biology major, is a domestic student and current GT mentor, but has origins in China like Wang. She came to the United States when she was 8 years old. “When I first came to America, I was not used to having strangers saying hi to me, I was not used to walking in my friend’s house with my shoes on,” Lin said. Lin also compared the struggles of international students to the standard struggles of all college students. However, Lin agrees that international students are excited to come. “They are always excited to explore the city, taste different foods, making new friends and the freedom of leaving home,” Lin said.